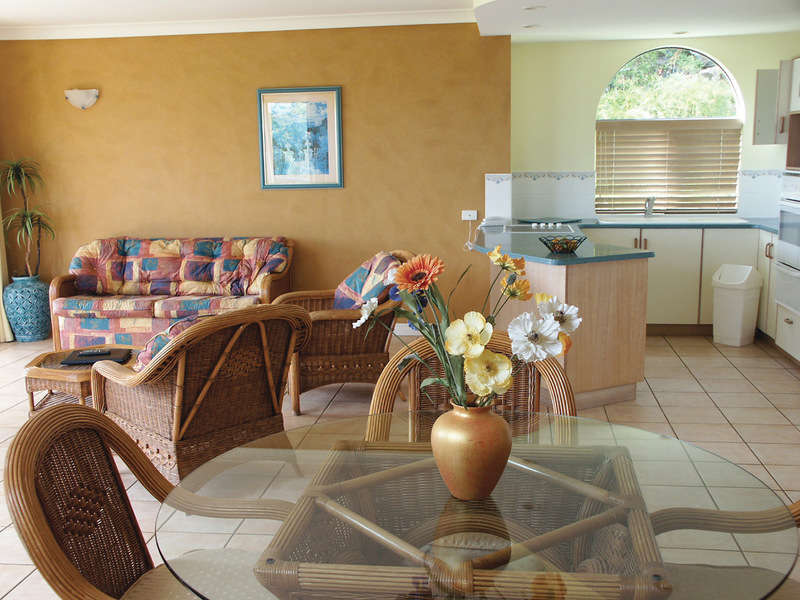 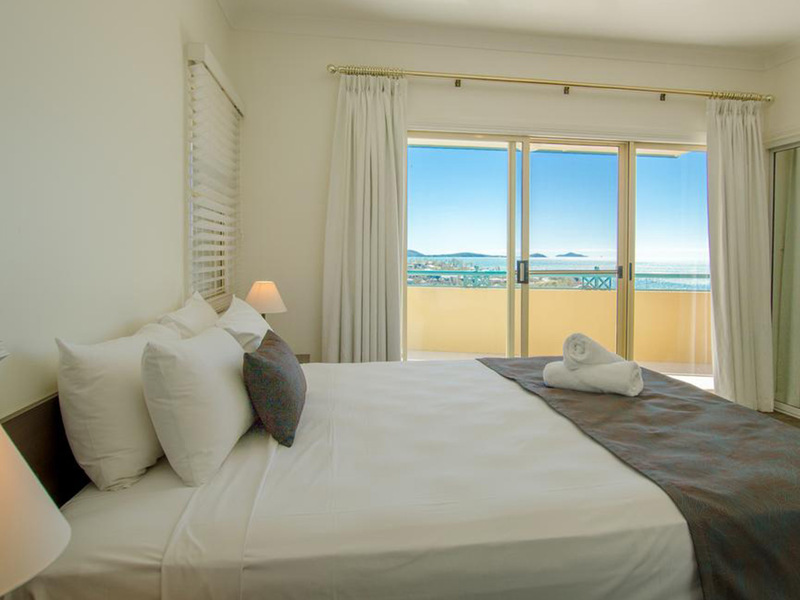 Ideally situated just 200 metres above heart of Airlie Beach, Toscana Village Resort offers centrally located self catering accommodation for your Whitsunday holiday. 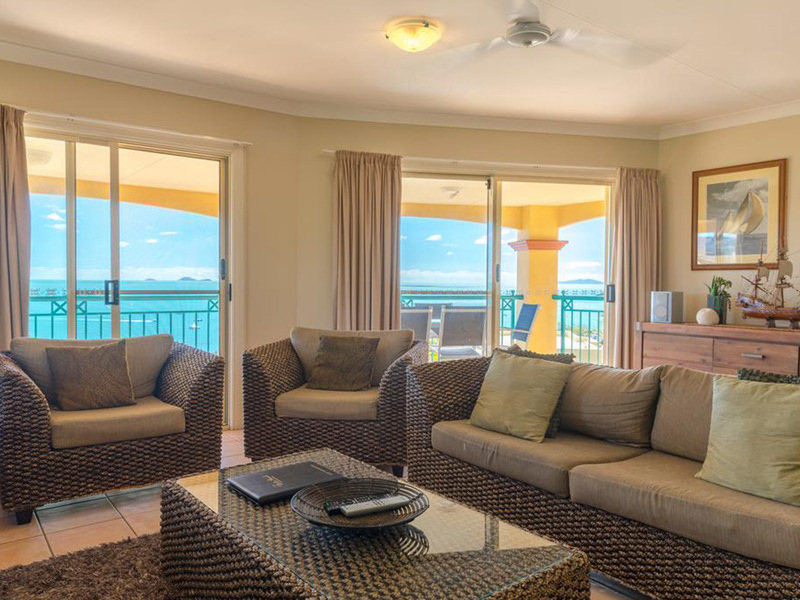 This spacious resort caters for couples up to large families and provide the perfect base from which to explore the 74 Whitsunday island wonders and the Great Barrier Reef. 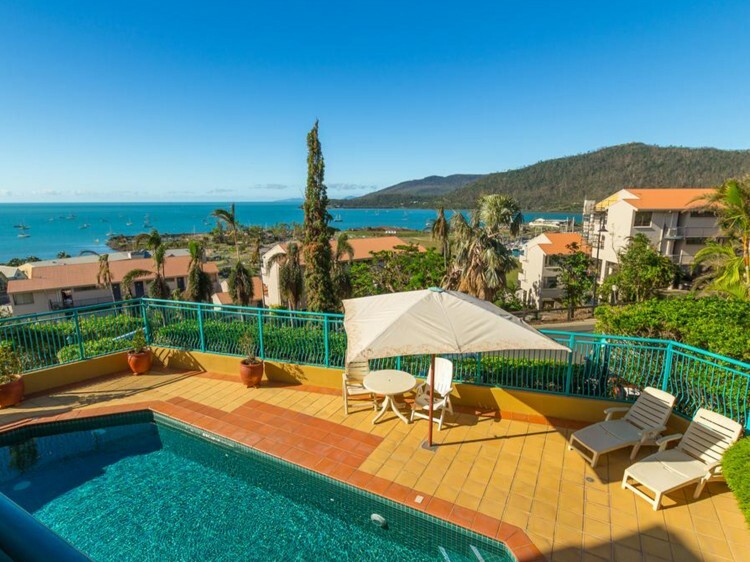 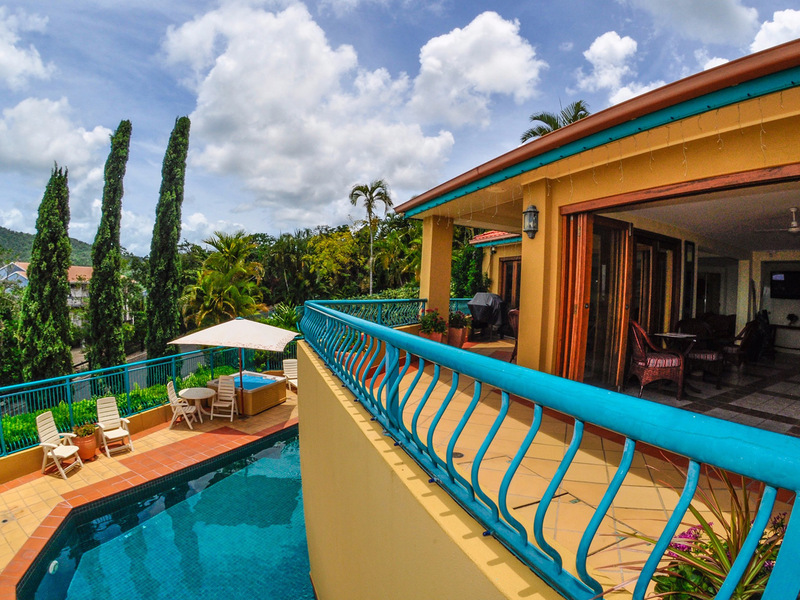 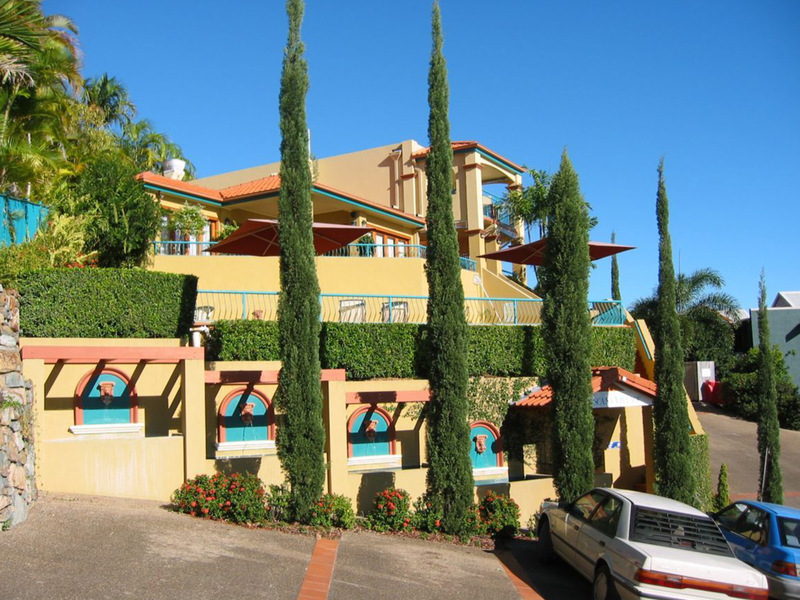 While Toscana Village Resort is centrally located in the heart of Airlie Beach, they also offer a slightly different flavour to the average Airlie Beach experience with a hint of Tuscany in the lovely winding garden pathways, cascading waterfall pools and rustic Tuscan colour scheme. 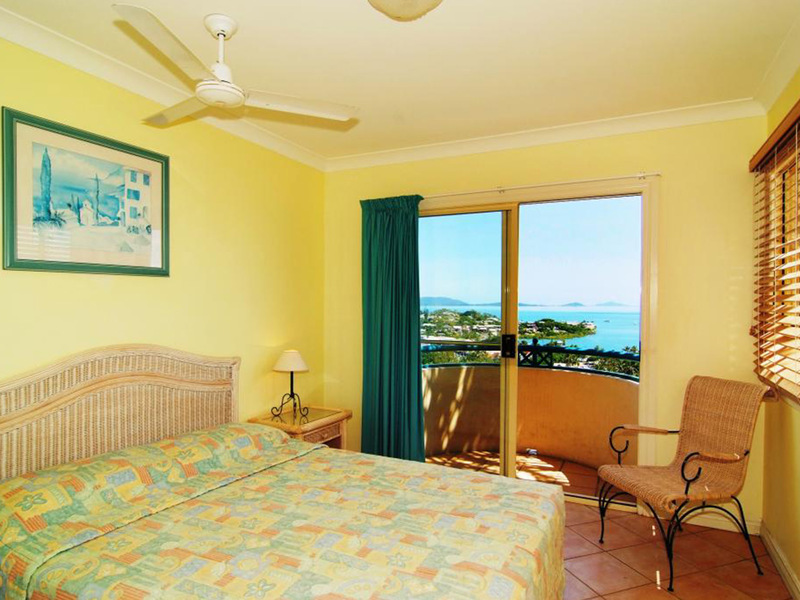 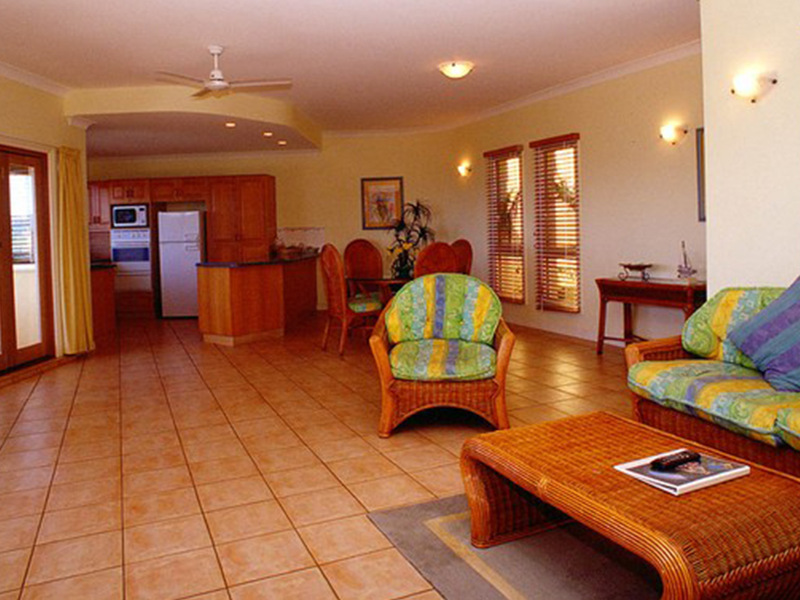 Do you want panoramic Whitsunday ocean views with that accommodation? 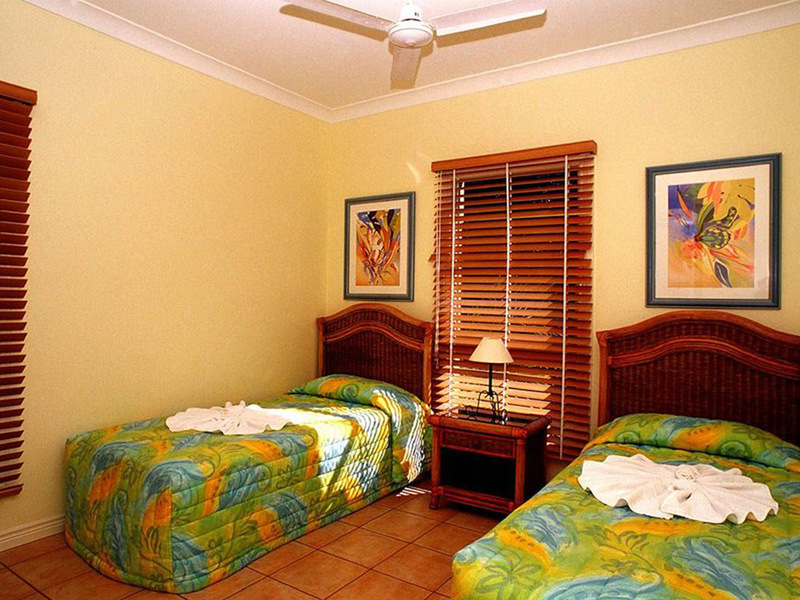 Then Toscana Village is a great choice. 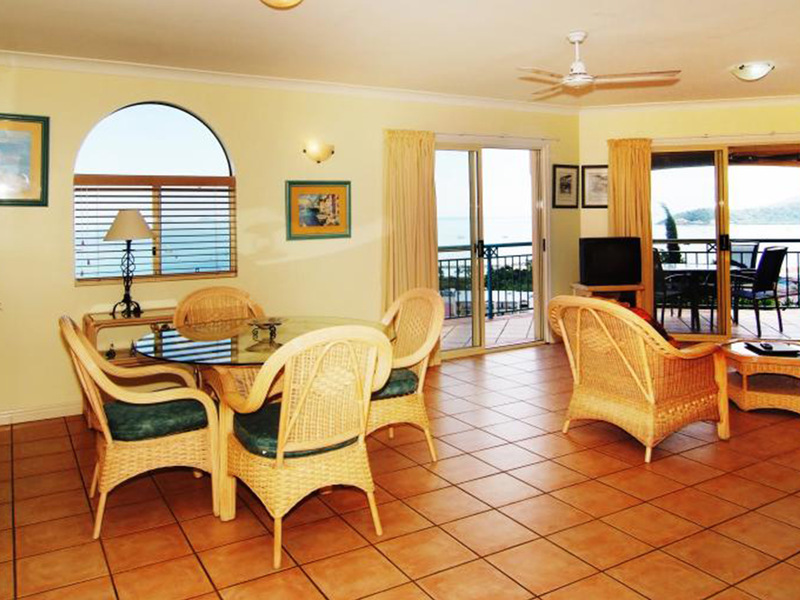 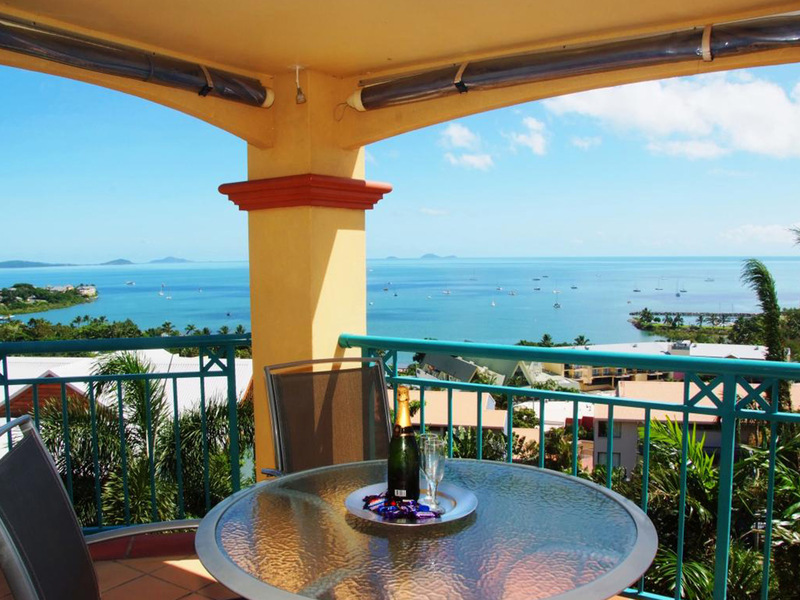 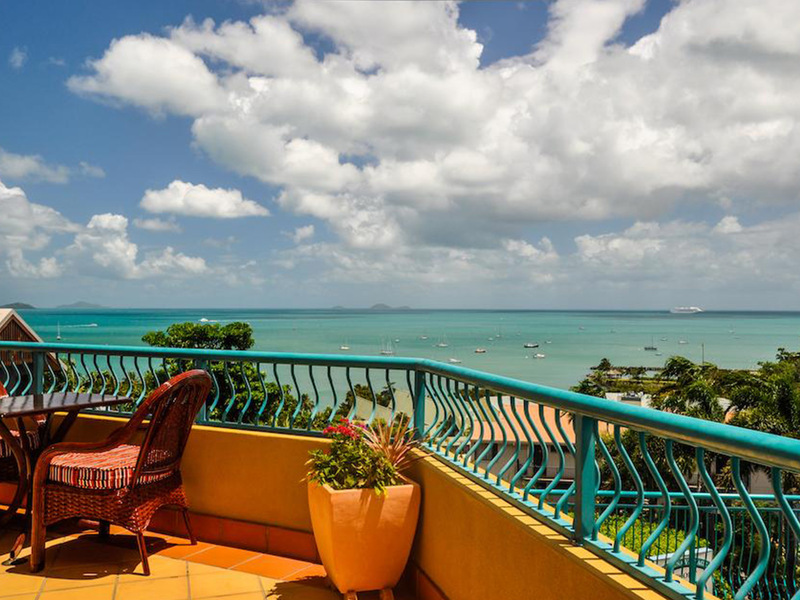 All apartments have balconies with outdoor dining settings where you can enjoy a quiet wine in the cool of the evening and look over the twinkling lights of Airlie Beach village to the azure blue waters of the Coral Sea, the boats bobbing on their moorings, and out to the Whitsunday islands and beyond. 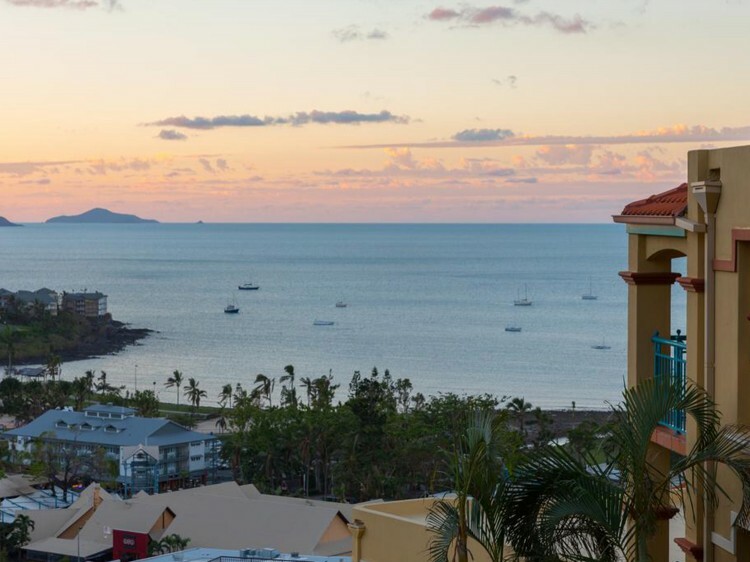 Nothing more magical then perfect sunsets and a cool evening ocean breeze for your Whitsunday experience.